After a three week training course I felt proud to be part of Batch 15 of the Young Expert Programmes (YEP). It’s always exciting to start in a new group but due to the intensive program we learned each other quickly. We started with a personal development trajectory, followed by a diverse program including intercultural facilitation & conflict management. One week later it was time for me and my husband to fly to Harare, Zimbabwe. 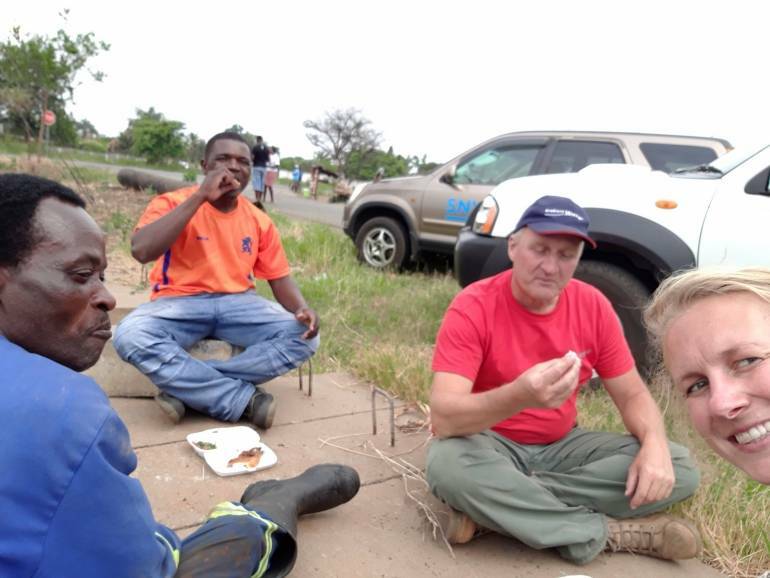 We were picked up by Toine (project manager of VEI) and Sandra (Harare Water Department (HWD)). Just after the arrival we started with an introduction to the director of Harare Water: Eng. Moyo. After that we started looking for a house, while getting used of driving on the left side. And of course, then it was time to start. Though, it was a bit of a strange time. There was a scarcity of common goods like bread, eggs and oil. Also fuel shortage was a problem which resulted in long fuel queues. However, this seems to be over for the moment, which makes it a lot easier for performing fieldwork. I went into the field a lot in the last few weeks. One of the focus topics of my project is pressure management in the water pipeline network. A pressure reduction valve (PRV) helps to reduce the pressure in the reticulation network of the neighborhoods. Currently new PRVs are installed in the network. We use pressure loggers to measure the pressure upstream and downstream of the PRV. The purpose of a PRV is to have a fixed downstream pressure. This is not yet the case everywhere and we’re trying to find out what the cause is. Furthermore, I will work in the control centre. Our task is to get in to control. Therefore we have to know what our assets are, how they’re performing and where the water is going. Map them to update the GIS regarding status. And the performed measurements can help us with calibrating an hydraulic model. During my first month here it was also nice to see some Dutch faces. So called ‘short-termers’ (employees of Dutch drinking water companies that are partners of VEI) come for a couple of weeks to share their expertise with HWD. Eva from Evides came to do research on chemical dosing at the largest water treatment plant. Then there were Pieter and Piet of Brabant Water who accelerated the meter changing process of large customers. And Frank & Freek to get attention on maintenance. Finally, I got to learn my first Shona words (Mangwanani, mamuka sei? (Good Morning, how are you?) and ate the local food: Sadza.